Panama City, Panama, Jan 22, 2019 / 09:32 am (CNA/EWTN News).- There will be 120 volunteers of the Order of Malta in Panama for World Youth Day, with the task of “providing first aid to young pilgrims”, Prince Dominique de La Rochefoucauld-Monbel, Grand Hospitalier of the Order, told CNA. 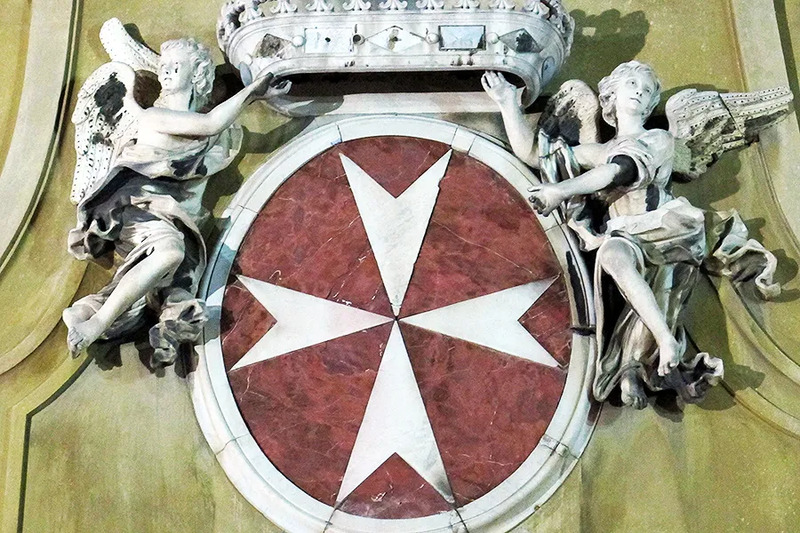 Within the Order of Malta, the Grand Hospitalier includes the office of Minister of Health and of Social Affairs, for Humanitarian Action, and for International Cooperation. The Sovereign Military Order of Malta is a Catholic lay religious order of a military, noble, and chivalrous nature. It is a subject of international law, and in that capacity it has diplomatic relations with over 100 states and the European Union, and also holds a Permanent Observer status at the United Nations. It is preparing to sign a memorandum of understanding with Panama. The Order of Malta is currently active in 120 countries, with a wide network of social and humanitarian work. De la Rochefoucauld recounted that the Order of Malta organized for World Youth Day “120 volunteers, coming from Germany, France and Italy,” whose main task will be that of providing first aid to the pilgrims. On Monday, the Venezuelan president gave a speech before the Constitutional Assembly asking the Supreme Court of Justice, the Comptroller’s Office and the Public Prosecutor’s Office to investigate the Archbishop of Barquisimeto, Antonio López Castillo; and the Bishop of San Felipe, Víctor Hugo Basabe. “We received Pope Francis’ message and he supports us as well as the people of Venezuela,” he said. “Mr. Maduro has put in my mouth words I never said. How sad it is that a national public official would so scandalously lie in front of the whole country on National Teacher’s Day. What’s worse is he accuses me committing a crime while he commits one himself,” the bishop said. 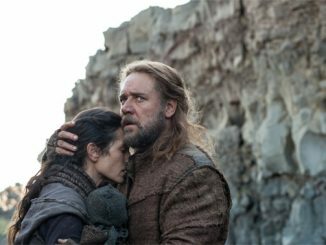 “There are a lot of people going hungry. If that’s calling for hatred then the dramatic nature of that law has to be changed,” he concluded. Managua, Nicaragua, Jul 20, 2018 / 06:09 pm (CNA/EWTN News).- A Nicaraguan priest has called on the international community to intervene to prevent the massacre of protesters by the country’s government and its paramilitary supporters. Fr. Augusto Gutierrez, a parish priest in the Monimbó neighborhood of Masaya, fewer than 20 miles southeast of Managua, was recently interviewed by the Spanish radio network COPE. Masaya has been at the center of the country’s protests. Due to government pressure, the priest is in hiding since he has received numerous threats. “We’ve gotten death threats because they say we’re the ringleaders of this situation, but we have been out in public because what the government of Daniel Ortega is doing is unjust. This is a genocide because there’s no other name for it,” Fr. Gutierrez said. On July 17 the indigenous neighborhood of Monimbó was attacked by paramilitaries with ties to president Daniel Ortega. “This is not war because the people are defending themselves with what they can, roadblocks, stones, makeshift mortars. They (the government) are determined to celebrate July 19 over the blood of the people. And they can’t keep on governing over the dead and ordering to kill,” he stated. July 19 marked the 39th anniversary of the ouster of the Somoza dictatorship by the Sandinista National Liberation Front, of which Ortega is the leader. La Vanguardia news reported July 20 that at a pro-government celebration attended by thousands of supporters that day, Ortega charged the Nicaraguan Bishops’ Conference with complicity in a coup attempt. He based his accusation on the bishops’ proposal that he hold early presidential elections in March 2019. The president challenged the Organization of American States and called on his followers to “not let down your guard” and to exercise“self-defense” in the midst of the grave crisis rocking the country. 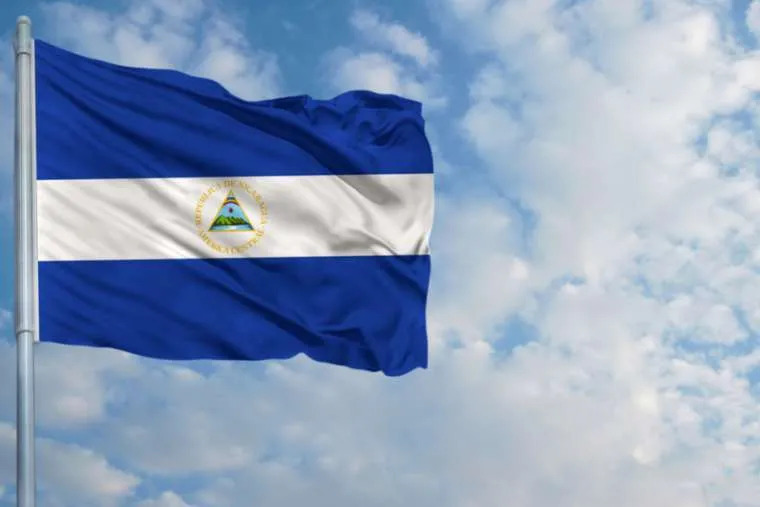 In a July 14 statement, the Nicaraguan Bishops’ Conference denounced “the lack of political will by the government to dialogue” and seek real processes that would lead the country to a true democracy. Ortega has been president of Nicaragua since 2007, and oversaw the abolition of presidential term limits in 2014. He was also leader of Nicaragua from 1979 to 1990. 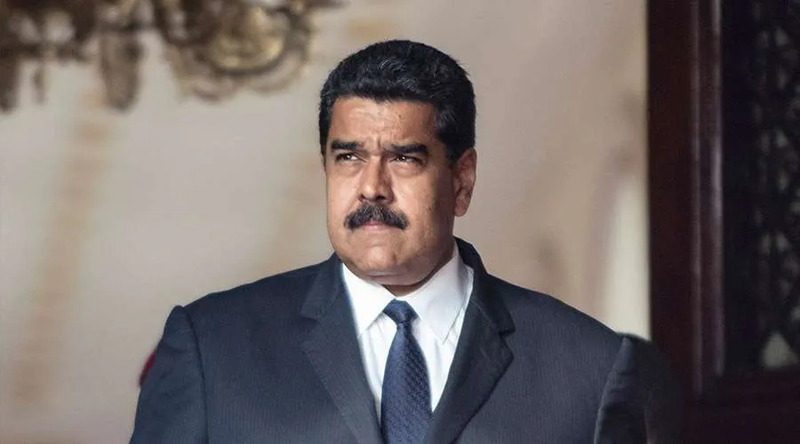 Caracas, Venezuela, Jul 12, 2018 / 01:37 pm (CNA/EWTN News).- The bishops of Venezuela issued Wednesday a scathing critique of the country’s political leadership, calling for greater respect for basic needs and rights. Since Nicolas Maduro succeeded Hugo Chávez as president of Venezuela in 2013, the country has been marred by violence and social upheaval. “Attitudes of arrogance, authoritarianism and abuse of power, as well as the constant violation of human rights, are accumulating on their actors a rejection that future generations will claim,” the bishops said in a July 11 statement at the close of their plenary assembly. The United Nation’s human rights office said in June that Venezuelan security forces carried out more than 500 extra-judicial killings amid purported crime-fighting efforts between July 2015 and March 2017. The report highlighted the failure of authorities to hold accountable perpetrators of serious human rights violations which include killings, the use of excessive force against demonstrators, arbitrary detentions, ill-treatment, and torture. The bishops’ statement, “Do not be afraid, I am with you,” offers an overview of the political and humanitarian crisis plaguing the country and their reaction as pastors. Added to shortages in food, healthcare supplies, public services such as water and electricity, which were already a cause for serious concern, are problems with personal safety, employment, the circulation and sale of cash, and problems with public transport. With most methods of public transport disappearing from the streets, citizens have created their own means getting around, packing themselves into overflowing truck beds or holding onto cage-looking structures on the back of large lorries, causing an increase in traffic accidents and deaths. In 2017, Maduro announced plans to re-write the country’s constitution, a decision that was widely opposed by citizens and the Church. Millions of people turned out to protest in the lead-up to a July 30, 2017, nation-wide election which approved a constitutional assembly to reform the country’s 1999 constitution. 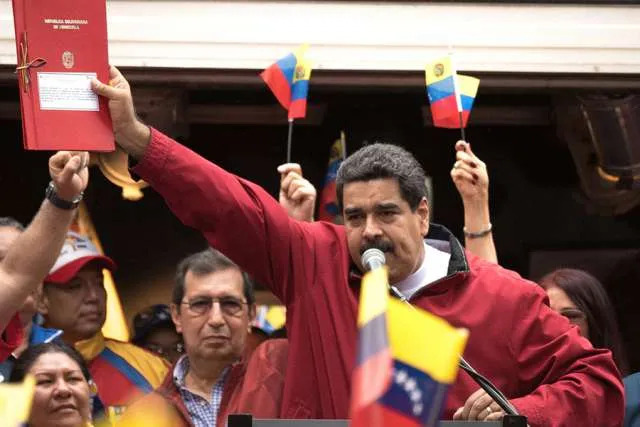 Calling Venezuela’s National Constituent Assembly “illegitimate,” the bishops said the entity violates “the most sacred rights of the Venezuelan people: the fundamental freedom to elect their own leaders in a fair electoral competition” without manipulation or favoritism. They also pointed to the growing Venezuelan diaspora throughout the world, mostly in neighboring Latin American countries, who risk trafficking and often struggle to integrate into their new countries. The Unied Nations Refugee Agency recently estimated that 5,000 Venezuelans emigrate daily. Noting the high numbers of youth who have left, bishops said their absence is a loss of “human talent” for the country and of hope for the future. They urged citizens to pray, saying no prayer or sacrifice is useless, even if the result is not immediately seen. In the midst of the crisis, the Church, they said, has en evangelic task of looking after the interests of the people. The bishops invited members of civil society to look for creative solutions to the crisis, urging citizens not to grow accustomed to living in “humiliating” conditions, and to be active in using every means possible to return power to the people.